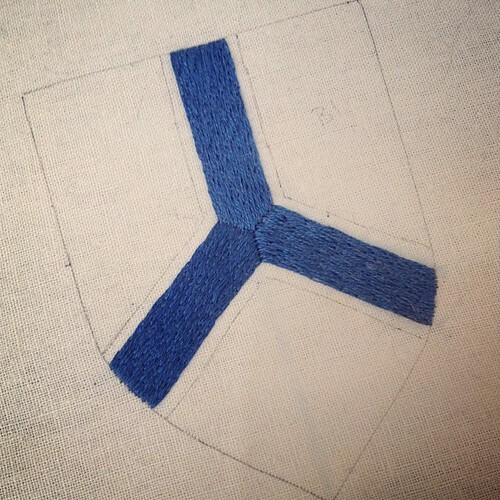 I’m a quarter of the way done with the Baronial Coats of Arms. 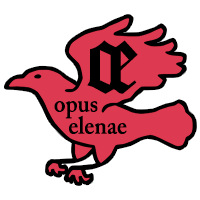 This one belongs to Phelim, the current Baron of Bryn Gwlad. His shield is amazingly simple and graphic, with translates well to a battlefield banner. 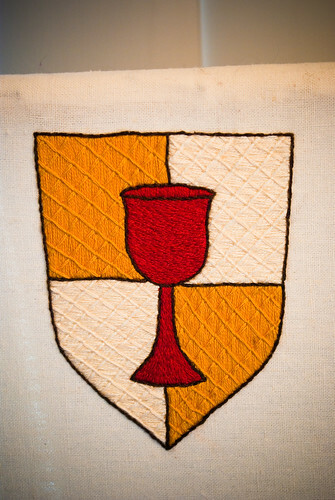 I was afraid, however, of the large spaces being boring when translated to needlework. I elected to do a couple things to try to mitigate that. 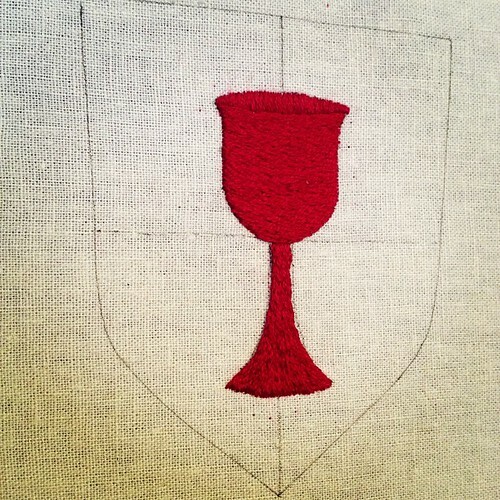 The goblet is worked in split stitch, except for the hint of the inner rim which is satin stitch. 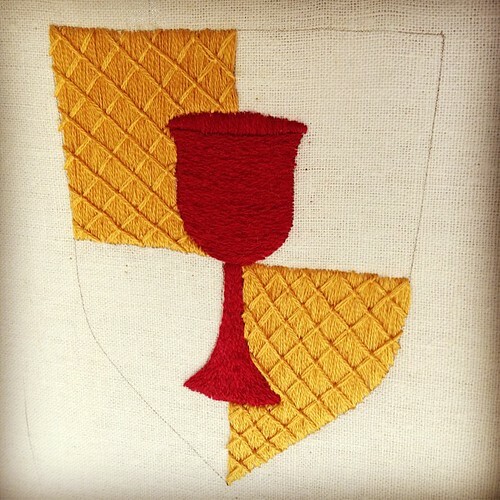 I stitched the outer bell in a curve to simulate the roundness of the cup. The stem and foot are worked in a vertical-ish manner, for contrast. 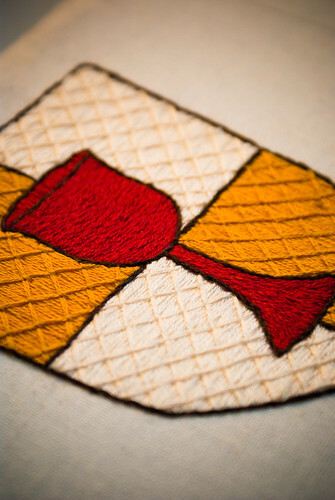 The background quarters are a modified Lattice Work stitch. The main difference between what Mary shows in her video and what I did is that the anchoring stitches are worked parallel to the long satin background, not perpendicular to them. I’m really pleased with the way it came out. Enough texture to be visually interesting, but not enough to take away from the intensely graphic nature of the design. So close to being finished. And then, only three shields to go. in a matter of days. It’s actually even further along the path to the finish line. 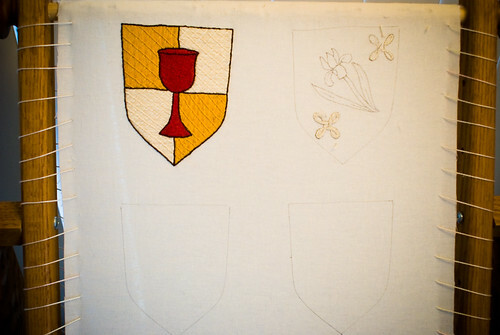 The top right quadrant is filled, with a pretty cream color. I just have to do the last quarter and then outline everything with a sable brown. 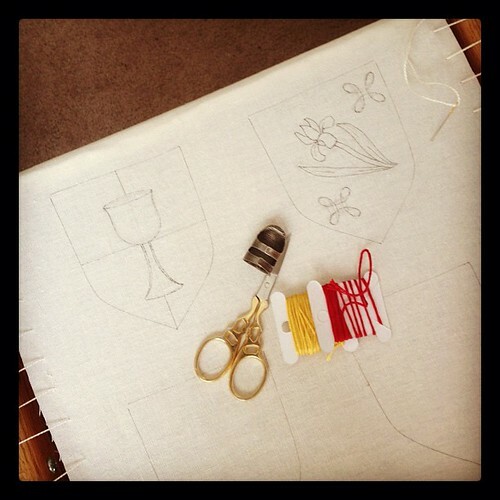 Setting up a new embroidery project. 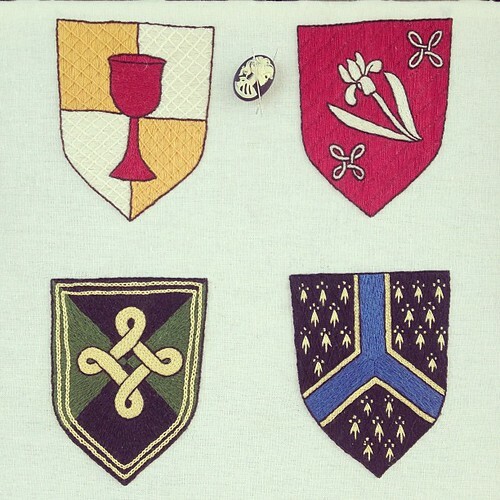 These will be the coats of arms for the current and former Baron and Baroness of my SCA group. 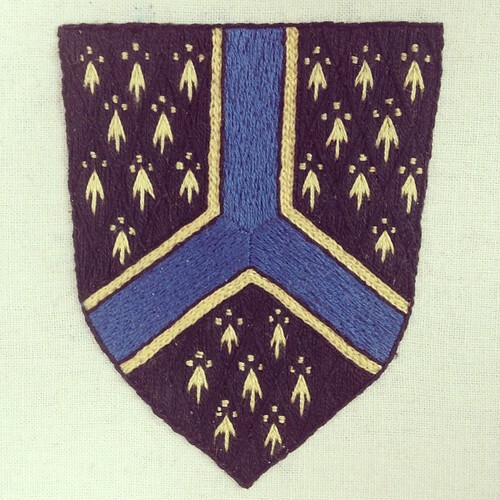 Her Excellency commissioned me to make them, to be added to the Baronial cloaks. My goal is to have them finished by Christmas.